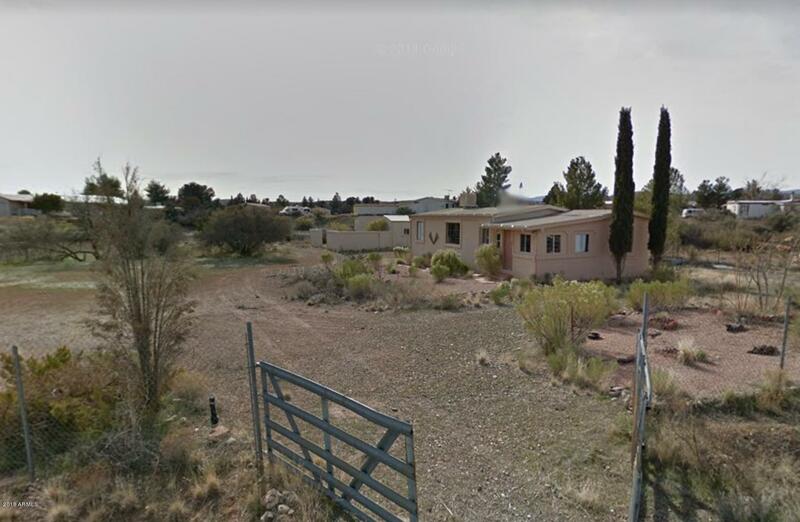 All Mayer homes currently listed for sale in Mayer as of 04/22/2019 are shown below. You can change the search criteria at any time by pressing the 'Change Search' button below. "854 Acres! Entire Ranch for sale! Multiple homes 54+ Deeded Acres & 800 Leased! Comprised of three patented gold mine claims, ASLD and BLM grazing leases. 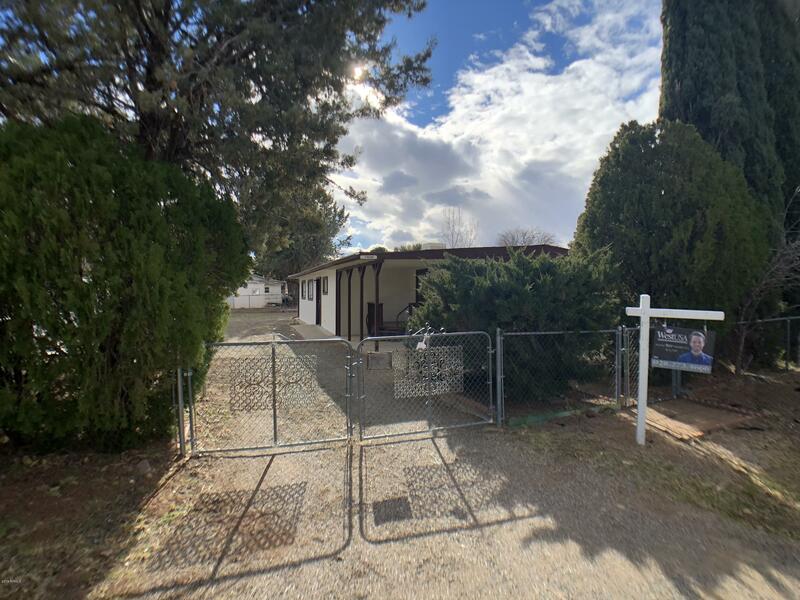 See the virtual tour link for the direct website to this beautiful property.Tucked away at end of an old stagecoach route, originally taking Wyatt Earp, Doc Holiday and others over this ranch on their way to Prescott. 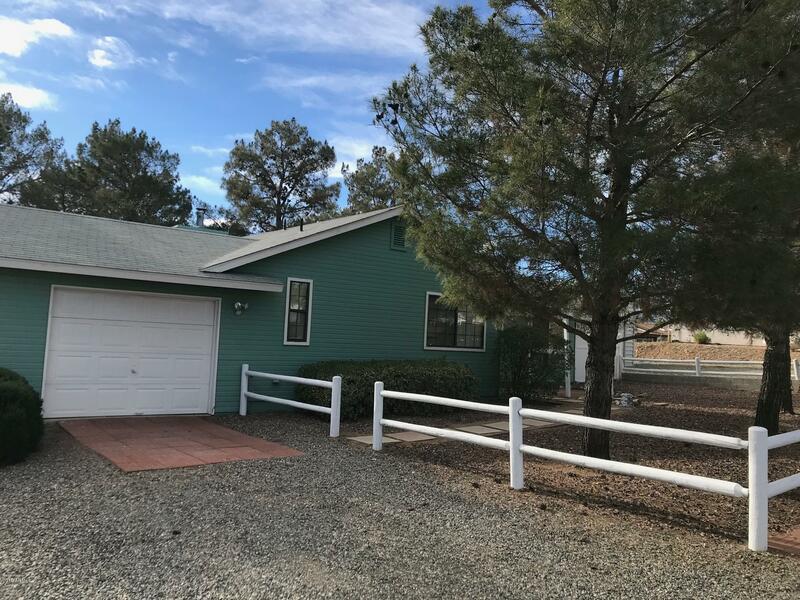 Adjacent to 80,000 acres of National Forest.Located at the foot of the Bradshaw Mountains where the cottonwood tree lined Big"
"OUTSTANDING *** Former MODEL in Up and Coming GATED Bensch Ranch at a 4200' Elevation with Incredible VIEWS *** Located approx 45 Miles from Phoenix/45 Miles from Prescott !!! Situated High upon a FULL/Splitable 1 Acre Lot with plenty of room for a Detached RV GARAGE....Home Features a 2469 Square Foot Contemporary Ranch with OPEN/SPLIT Floor Plan, Vaulted Ceilings with 18' Vault, Plant Shelves, Entertainment Niche, 4Bedrooms/2Bathrooms/3CarGarage, Formal Dining Room, 2 Tone Paint, Wood/Gas Fire"
"Only 90 minutes from the Phoenix area, this cool mountain retreat has amazing views from every point on both large decks that wrap around each floor. The lower deck is 1,424sf, while the upper deck is slightly smaller. 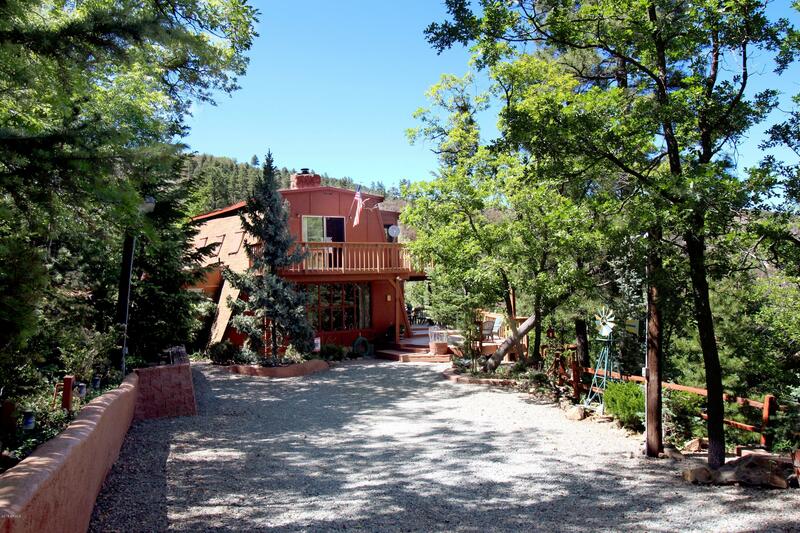 Located at the upper end of Breezy Pines, near the top of the hill, on an acre, with 1970sf of space, it's the perfect place to relax or entertain friends and family. One bath on each floor, with 2 bedrooms on the main floor. Plenty of storage and room for your things. The upper "
"PICTURES DO NOT DO THIS HOUSE JUSTICE. MUST SEE IN PERSON. OPEN KITCHEN TO GREAT ROOM. LAMINATE WOOD FLOORING THROUGHOUT. LARGE MASTER BEDROOM WITH TWO CLOSETS. MASTER BATH HAS A LARGE JACUZZI TUB AND HEAT LAMPS. BACK YARD BOASTS THE ONLY MATURE TREES IN THE AREA. PINE TREES AND AN ALMOND TREE. BACK YARD HAS A SMALL STORAGE SHED WITH TWO YEARS WORTH OF CUT FIREWOOD. LARGE OUT BUILDING CAN BE USED FOR STORAGE, WORKSHOP OR STUDIO APT. HAS ELECTRIC, WATER AND SWAMO COOLER. 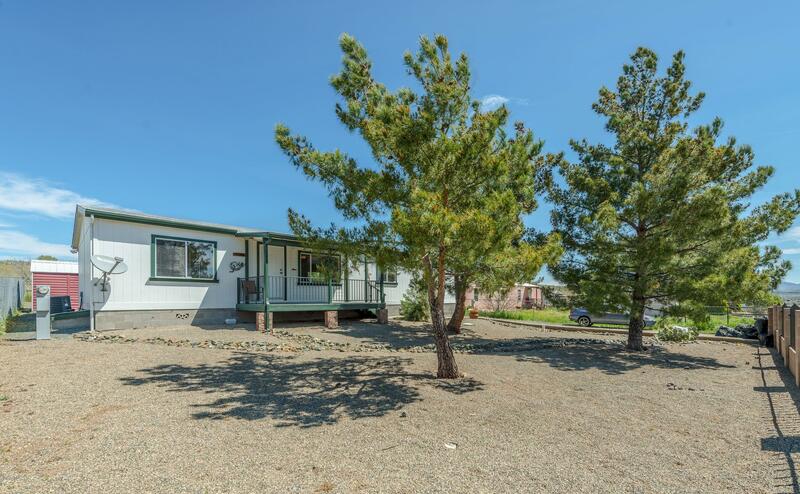 RV GATE AND PLENTY OF ROO"
"Huge ranch-style property perfect for those enjoying wide-open spaces. Ideal horse property, small-scale livestock farming, or subdividing." "Wow, what a home! Hurry to view this amazing house at an amazing price! Super charming, this home offers an AZ Room and Hobby Room/Office (not included in sq. 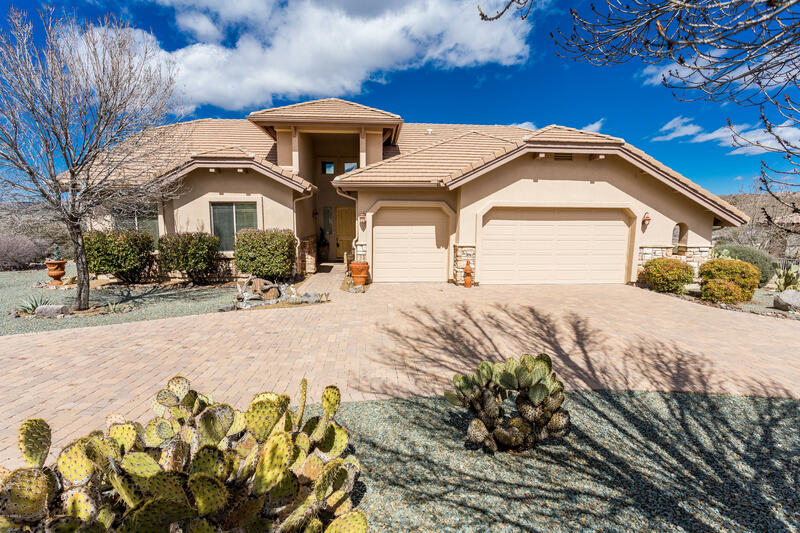 footage) with separate entrance and half bath, walk-in closet in master bedroom, vaulted ceilings, ceiling fans, beautiful AZ room, separate laundry with washer and dryer, large kitchen with refrigerator included, laminate and custom tile flooring and shelving in garage. Exterior offers extra large garage and a shed for all your outdoor st"
"Quaint, well-maintained home in Mayer. 3-bedroom, 2-bath with a split floor plan. Front and backyard fully landscaped, covered front porch, and mature trees on the property. 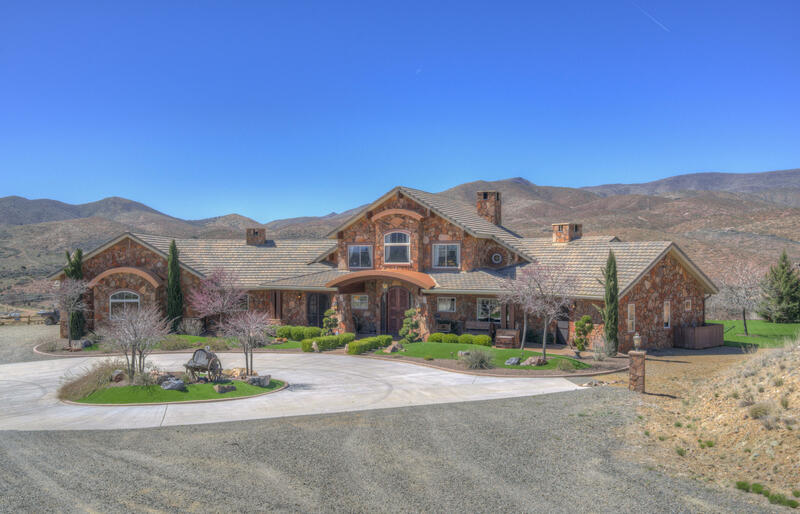 Take in the panoramic views from the covered back patio that backs up to BLM State land. With both a living room and family room, the living space feels open and inviting. Large master bath with an en-suite bathroom. Separate laundry room and large storage shed in the backyard. Covered front porch perfect for relaxing"
"Enjoy the Rural Living!! !Gorgeous views!!! Fresh Air!!! 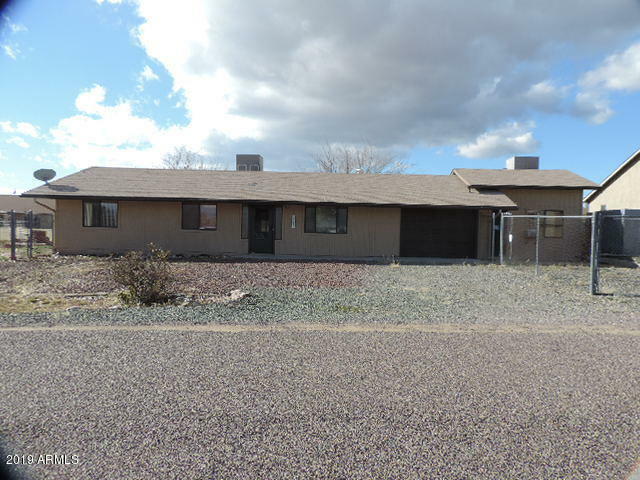 This property features 4 beds, 2 baths, 1400 approx sq.ft, split floor plan. The rooms are great in size.The master suite is sizable. Big master bath. The kitchen has plenty of cabinetry and counter space. Beautiful Open plan concept with separate Living room. Lots of Natural Light. Repainted & In excellent conditions. Fruit trees planted thru-out property , plenty outside storage, new water heater. Come check this one out! NEW LISTING !!" "NEW CARPET AND NEW FIXTURES! OWNER JUST PUT ON A BRAND NEW ROOF, FRESH OUSIDE PAINT, AND JUST BEEN PROFESSIONALLY CLEAND. THIS HOME HAD BEEN USED FOR CARE OF HANDICAP AND STILL HAS THE ADA BATHTUB. THE WHOLE HOME IS WHEEL CHAIR ACCESABLE W/ EXTRA STORAGE ROOM. QUIET NEIGHBORHOOD W/ ALL PAVED ROADS." 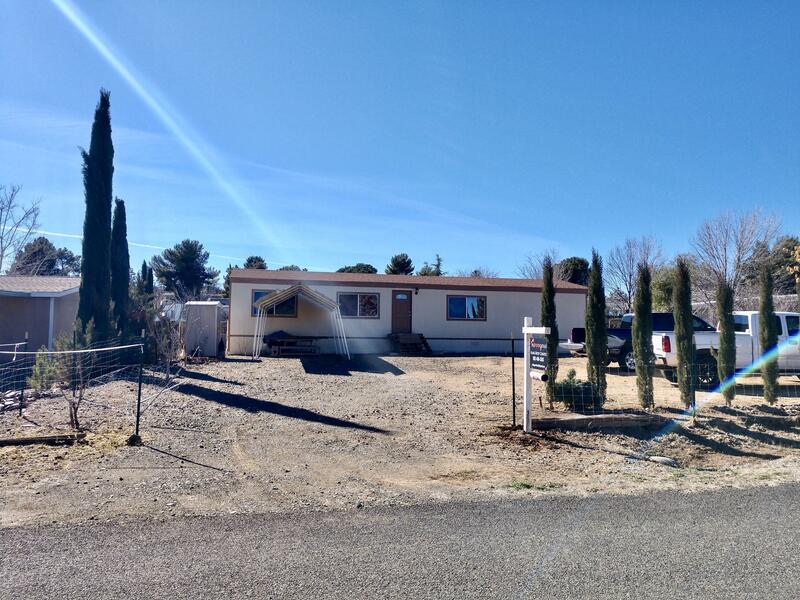 "Nice older single wide in Cordes Lakes on a corner lot. The property is zoned commercial so you could have a business there. 2 bedrooms, 1 full bath. 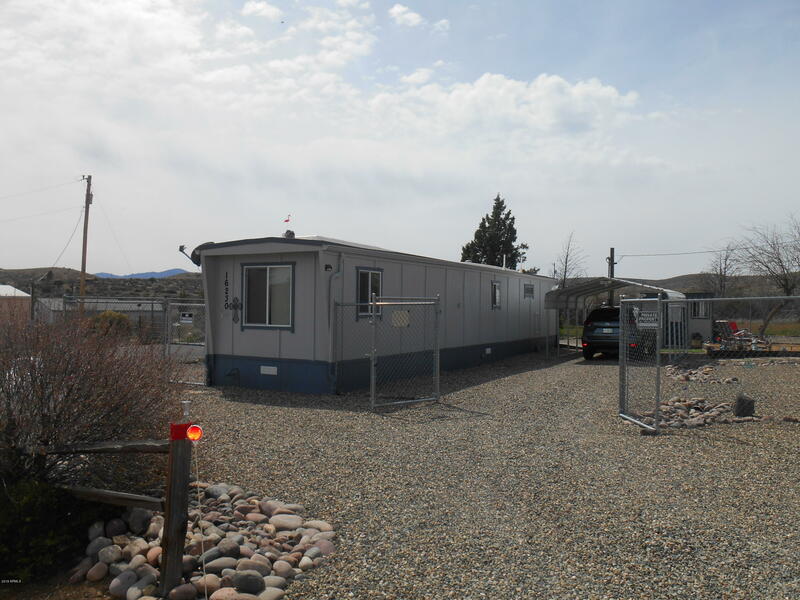 A 6' tall fence surrounds the property, RV parking, the septic system is big enough to support a 3 bedroom home, water provided by a private water company. The lot has been completely redone for proper drainage, the roof redone in 2010, siding & paint redone on exterior of home, landscaping completely redone. The screened in front deck has a ramp. "